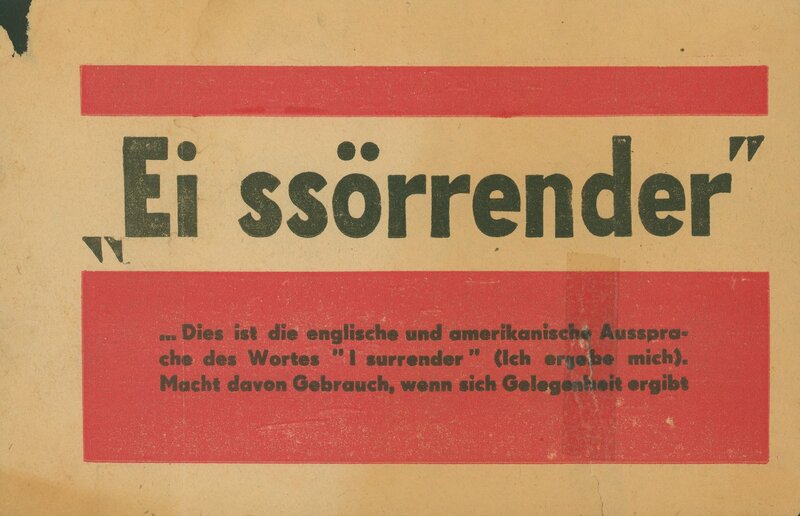 Allied propaganda leaflet dropped on Italian soldiers in order to inform them of how to say "I surrender" in English to the invading Allied troops. Also, included on the flyer is German directions to inform the German soldiers amongst the ranks of Italians. Great Britain. Royal Air Force AND United States. Air Force.